The sponsor of a failed bill to raise Louisiana’s gas tax said July 31 the state should consider other options to improve roads and bridges, including the already-stressed general fund. 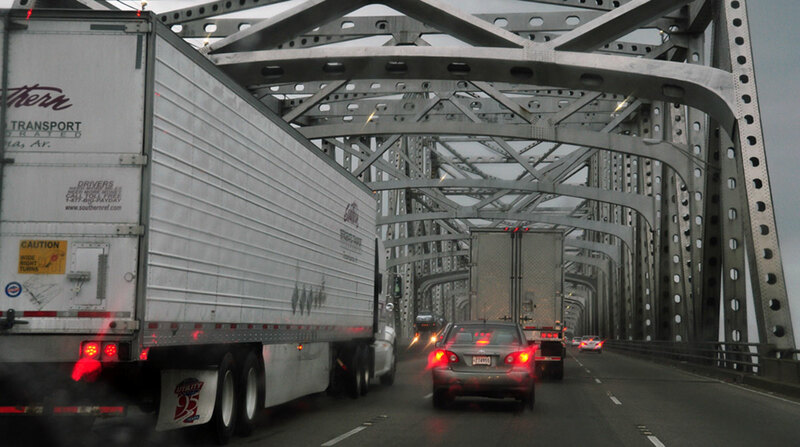 Rep. Steve Carter, (R-Baton Rouge), said while the state faces a $1.2 billion “fiscal cliff” next year, that shortfall should be raised to $1.7 billion to address pressing transportation needs. “It is irresponsible to ignore it,” he said. Carter also said the Legislature should consider a changes in the state Constitution that would allow parishes to join forces to raise money for roads and bridges, like a new bridge across the Mississippi River in Baton Rouge. The lawmaker conceded that the two proposals would spark controversy, especially any effort to use general revenue dollars for transportation. Louisiana’s gas tax is the key funding source for roads. The general fund helps finance most state services, and any attempt to use it for road and bridges would spark resistance from advocates of health care, higher education and other state services. Carter made his comments to the Press Club of Baton Rouge. The lawmaker was the sponsor of a bill that would have raised the state gas tax by 17 cents per gallon, $510 million per year. The legislation died in the Louisiana House near the end of the 2017 regular session. Backers said they were well below the two-thirds majority — at least 70 of 105 votes — needed to send the plan to the state Senate, where it would have faced brighter prospects. Opponents said voters were in no mood for a tax increase. Carter, a 10-year veteran of the Legislature, said while the House and Senate includes “very good people” voting for a gas tax hike sparks anxiety. The state has a $13 billion backlog of road and bridge needs. Motorists pay 38.4 cents per gallon, including 20 cents in state charges. That rate has not been changed in 28 years. Carter said 31 other states use general revenue dollars for transportation needs. However, Louisiana’s operating budget is again the source of political friction. State services face a $1.2 billion shortfall next year because temporary sales and other tax hikes are set to expire. Democratic Gov. John Bel Edwards and House Republican leaders have been at odds for months on how to come up with solutions. In another area, Carter said he could have used more help from the governor in trying to round up votes for a higher gas tax. A task force named by Edwards, after months of study, recommended a $700 million per year increase. The governor opted not to endorse any specific revenue-raising measures. Instead, he said he would back any bill consistent with the recommendations of the task force. Carter noted that Edwards got behind an overhaul in criminal justice policies earlier this year, which won final approval, and that former Gov. Bobby Jindal did the same in 2008 to make sweeping changes in public schools.